The Beatles Through The Years: Paul McCartney To Induct Ringo Starr Into The Rock & Roll Hall Of Fame. Paul McCartney To Induct Ringo Starr Into The Rock & Roll Hall Of Fame. "Who? This guy? 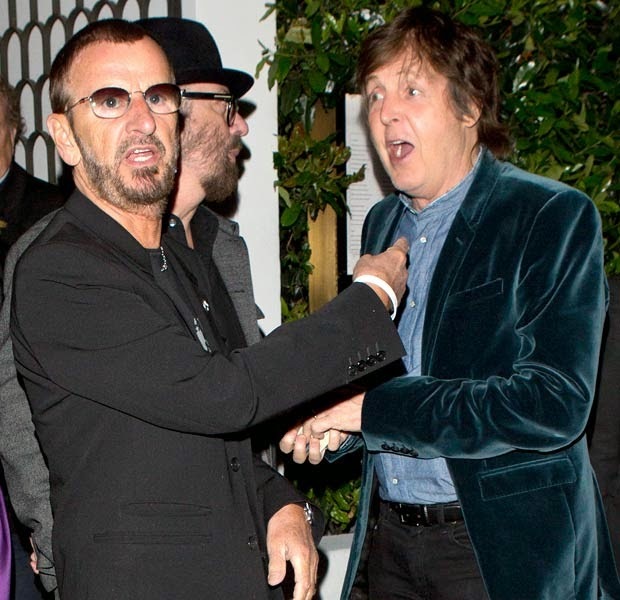 ": Paul will induct his fellow Beatle Ringo into the Rock & Roll Hall of Fame. On Saturday the 18th of April 2015, Ringo Starr, drummer with such acts as the Eddie Clayton Skiffle Group, Rory Storm & the Hurricanes and the Beatles, will be inducted into the Rock and Roll Hall of Fame. Although he was already inducted as a member of the Beatles back in 1988, Ringo will now be recognized for his solo efforts. Why hasn't he been recognized before? Nobody seems to know the answer to that question but he is the last remaining member of the Beatles to be inducted. John Lennon was inducted posthumously in 1994 by Paul McCartney. Paul McCartney was inducted in 1999 by Neil Young. George Harrison was inducted posthumously in 2004 by Tom Petty & Jeff Lynne. In a December interview with Rolling Stone magazine, Ringo talked about how he heard about his induction and how he's happy to receive the award. "Paul McCartney rang me up and asked 'Will you accept the award?' and I said 'Sure, man.' He said he'd been talking to Dave Grohl and other people and they were stunned that I wasn't in the Rock and Roll Hall of Fame, and he needed something to do that night and he's going to give me the award. I think it's good. I didn't know that George and John were in it. I'm not keeping up with it all the time. We'll have a very nice evening and it'll be my pleasure to receive the award." Ringo also has his 18th studio album out too! 'Postcards From Paradise' was released at the end of March and features nostalgia tracks like 'Rory and the Hurricanes' and the album's eponymous single. 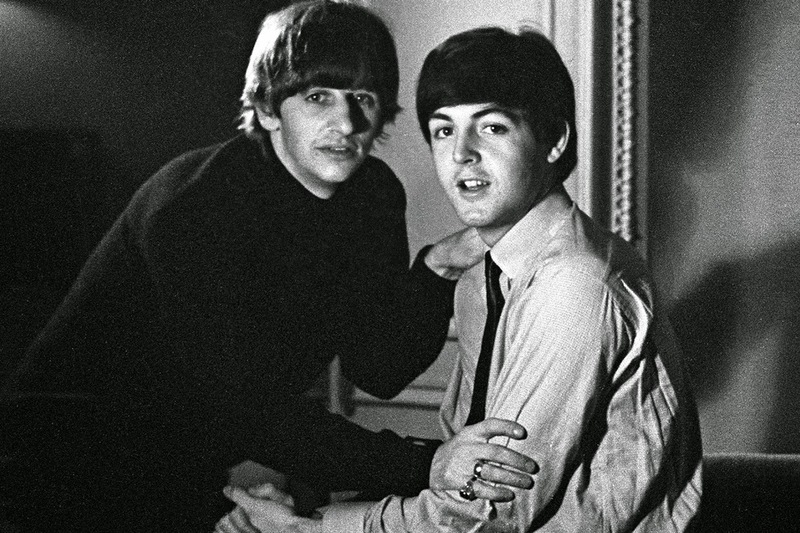 The Two Beatles: Ringo & Paul circa 1964.